Vidya Coffee is situated at Chikmagalur with its own coffee estates, integrated coffee processing plant, spray dried roasting plant, Instant coffee plant & coffee extraction plant with the capacity of over 20000 MT/Annum in the heartland of Indian coffee which is a part of Western Ghats. The Western Ghats mountain range is rich in flora and fauna and is considered as one of the Bio-diversity hot spots. The machinery line has been imported from well known company Pinhalense, Brazil and having a capacity of over 20,000 MT per annum. The integrated plant has been built to have minimum/no manual intervention from the time of feeding Berries to Green Coffee, Roasting, Instant Coffee, Green Coffee Extraction & Packing. 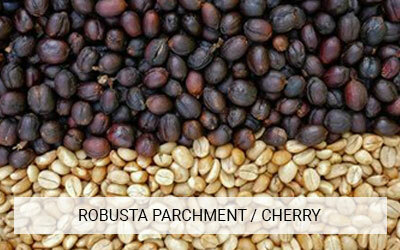 The facility is equipped with latest colour sorting machinery for an ideal coffee visual. Vidya Coffee has a state of art processing facility situated in Chikmagalur. The roasting facility (Spray Roasting) is also imported from a world known manufacturer LILLA, Brazil. Computerised Weighment- Essae 50MT EWB & strong documentation processes. State of Art Lab Facility for Quality Analysis. From the Plant to the Cup. Our Inspiration is Coffee and Coffee Moments. © 2018 Vidya Coffee. All Rights Reserved.